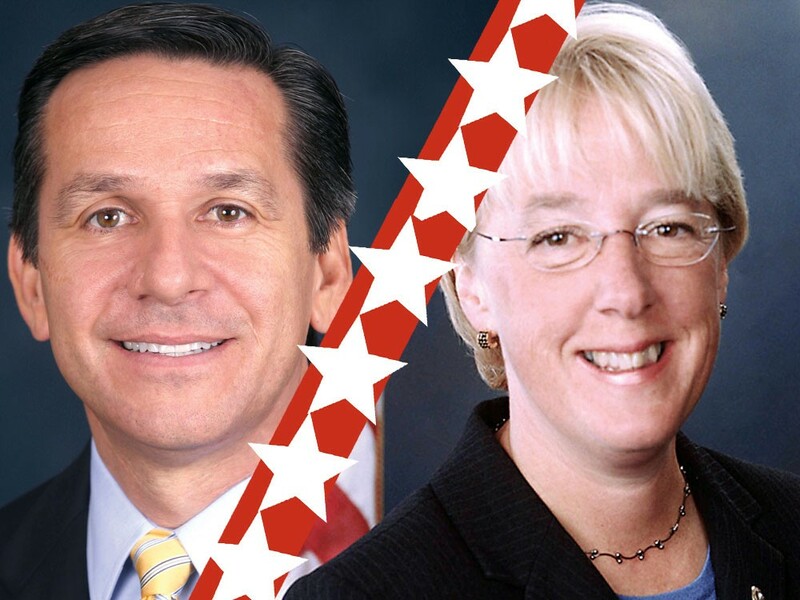 Dueling Senate campaigns seem to be focused on the wrong Washington. Of course, all of this has little — if anything — to do with Washington state voters. Rossi, a two-time failed gubernatorial candidate who’s since resumed his living as a real estate developer, is locked in a statistical dead heat against an 18-year incumbent senator who holds the fourth-highest position in that chamber — though the most recent polls show Murray pulling ahead slightly. MURRAY: touts the healthcare bill, wants to continue working on reform that will lower long-term costs and provide “more choice and stability” for families and businesses. MURRAY: Wants to make the government more efficient and reduce spending in order to ease the national debt, while at the same time recognizing the need for infrastructure investment and relief for families and small businesses. ROSSI: Wants to extend middle-class tax cuts, repeal the estate tax and lower business taxes while cutting spending to create a balanced budget to reduce the debt. ROSSI: Wants to develop more renewable energy sources in an environmentally friendly and fiscally responsible way, and opposes “job-killing energy taxes” like cap-and-trade. also wants to enhance safety procedures for energy exploration and to make polluters pay. In any congressional race, there’s necessarily going to be a tension between focusing on national issues and those that directly affect constituents. But in this one, the focus seems more about the future of the country than the state they’re trying to serve. The most recent slings from both sides concern a variety of subjects. In a recent TV ad, Rossi says, “Murray voted to double the national debt.” It’s unclear precisely what vote or votes he’s referring to, but it’s not as if she voted on a measure specifically raising the debt. Using experience as a pejorative, Rossi attacks her 18 years as if she alone were responsible for the mounting debt. Rossi, meanwhile, found himself the object of an attack ad about his views on Wall Street reform. After showing a picture of cash raining down while sad families stood outside homes with big “FORECLOSURE: FOR SALE” signs, Murray’s ad cited fundraisers “on Wall Street” and in Washington, D.C. — implying they were the reasons that Rossi came out for repeal. This year is a big one for congressional campaigns, financially speaking. According to the Federal Election Commission, more than $1.2 billion has been raised for those running for seats in the House and the Senate. For most incumbent members of Congress, the money is coming from places (namely, D.C., New York and California) other than their constituency. Locally, the numbers are somewhat more modest. According to data from the Sunlight Foundation, Murray has raised more than $4.4 million in this two-year election cycle, as of the last reported data. Rossi clocks in at just under $1 million. A full 62 percent of Murray’s dollars come from out-of-state, versus 19 percent for Rossi. The discrepancy is not surprising, as incumbents tend to pull in more out-of-state money because they’re better known than their opponents. But Rossi will probably have plenty more money in the next FEC filing period, as the last one ended before the primary election. When asked about out-of-state money, Rossi’s press secretary Erin Daly mentions his Facebook page, which she says shows plenty of “Fans” and “Likes” from all over the U.S. from people who’ve seen that he’ll work for the good of the country. These fans clearly believe their money will have an impact on the election — otherwise they wouldn’t give it. And all it takes for their “action” beyond Facebook — donating — is another click of the mouse. In an e-mail response, deputy press secretary Martina McLennan writes, “[Murray]’s only priority is working for the people of Washington state.” She did not address a question about why the senator fundraises outside the state. Considering the money, the way the race is being portrayed in the press, and the rhetoric … maybe this race really does come down to what letter you want after your senator’s name — an R or a D.
They don’t completely ignore local issues — the debate is contentious, even if there are fewer issues to contend about. Recently, the two candidates sparred over Boeing contracts. In a videotaped interview with the Tacoma News-Tribune’s editorial board, Rossi said World Trade Organization rulings regarding subsidies to Airbus and Boeing should not have an impact on contracts for new tankers. Murray pounced, and the two have been trading attack ads ever since. Murray touts things like the 2008 Farm Bill, which she says was the best such bill for the state in years, and $700 million for Washington state transportation in the Economic Recovery Act. Rossi, who has not held a national office, claims the current bad economy (in the state and the U.S.) happened on her watch. Voters won’t have to wait long to see the two duke it out, as at least two debates have been agreed to — including one in Spokane on Oct. 14 that will be broadcast on KXLY. Maybe then Washingtonians will find out whether each has a vision for the state — or if they’re more concerned with setting the national stage.